The son of the store owner, who died Thursday along with a customer due to an alleged milk tea poisoning, is reportedly under investigation. 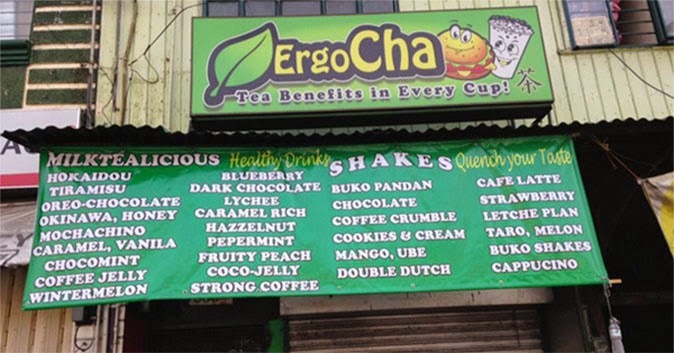 Lloyd, the only son of William Abrigo, allegedly brought a foul-smelling liquid into the kitchen of the Ergo Cha Milk Tea House located in Bustillos Street in Sampaloc, Manila, the night before his father and one Suzaine Dagohoy died. Suzaine, 28, and her boyfriend, 34-year-old Arnold Aydalla, ordered a large 'Hokaidou' milk tea at 10:42 a.m. on April 9. William combined the ingredients and handed the drink over to Arnold nine minutes later. At 10:51 a.m., Arnold took a sip of the milk tea, but spitted it out. His girlfriend, however, helped herself quite a bit because she was thirsty, according to a report. When the couple complained that the served drink tasted bad, William appeared to have explained that the ingredients were stored well and nothing was wrong with their product. He went back to the kitchen and concocted another drink while Arnold bought candies. A few minutes after drinking the milk tea, Suzaine vomitted and collapsed. William was unaware yet of what had happened. When he went out at 10:57 a.m. to serve the drink, he saw Suzaine who was already unconscious. He took a sip of the drink and another at 10:59 a.m., the same time Arnold appeared to be disoriented. A minute later, the store owner slowly slumped to the floor. The three were rushed to a hospital in Sampaloc. The tricycle driver who brought them there said they were foaming at the mouth. Suzaine died at 3:36 p.m. while William expired at 5:40 p.m. Arnold survived and is now in a stable condition. The Manila City government’s health department has officially closed the tea house. According to a report published on PhilStar.com, the family told police the establishment will not be reopened. A store helper identified as alias Raymundo Santos reportedly said a foul odor wafted through the kitchen of the tea house just before 10 p.m. Wednesday, April 8. About a month ago, Santos said he noticed that the pitcher they use to make milk tea smelled of bleach. This happened when Lloyd dropped by the store. The following day, a customer complained of stomach pains after drinking their milk tea. Senior Inspector Melchor Villar, chief of the Manila Police District (MPD) homicide section, told the news outlet they will not leave the helper's statement ignored. Lloyd's lawyer, meanwhile, reportedly said the Abrigo family will give its side after William's wake.